JERUSALEM, March 4 (Reuters) - Israeli opinion polls on Wednesday showed Prime Minister Benjamin Netanyahu got a slight boost in popularity after his U.S. speech slamming an emerging nuclear deal with Iran, but he is still running neck and neck with his leading rival in a March 17 election. A survey published by Channel 10 television indicated Netanyahu's Likud party would gaining two seats to 23 compared with what he had a week ago. That would still leave him in a tie with Isaac Herzog's Zionist Union. The country's Channel 2 television had Netanyahu's right-wing party up by one seat to 23, just behind Herzog's left-of-center list. In separate surveys conducted by the channels on each candidate's individual popularity, Netanyahu was favored by 44 percent for the job of prime minister, up two percentage points from a week ago. Herzog's number declined by two percentage points to 35 percent, results by Channel 10 showed. But Netanyahu was further ahead of his rival in a Channel 2 popularity poll, with 47 percent choosing him and 28 percent opting for Herzog. All the surveys indicated Netanyahu had more potential political allies with whom to build a new governing coalition after the election. In Israel's parliamentary election system, the public chooses parties rather than individual candidates, and the head of the party with the most political allies is the one who usually wins a presidential mandate to form a government. Israeli critics said that Netanyahu, seeking a fourth term in office, risked damaging Israel's strategic alliance with Washington by speaking in the U.S. Congress on Tuesday, for the sake of wooing voters before the closely contested election. Netanyahu came under strong criticism from the Obama administration for his speech, which Washington said had injected destructive partisanship into U.S.-Israeli ties. Republicans, who control Congress, had invited Netanyahu to speak without consulting President Barack Obama or other leading Democrats. As many as 60 of the 232 Democratic members of Congress boycotted the address. 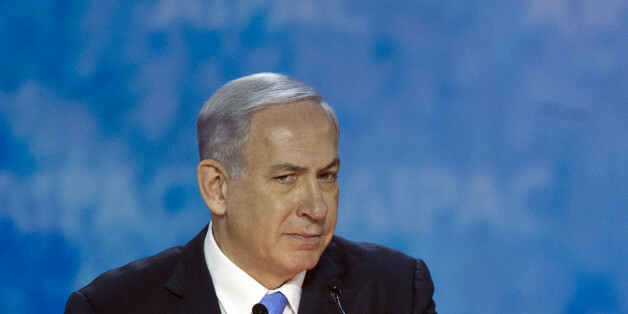 Netanyahu rejected Obama's charges that his speech had offered "no viable alternatives" to an international deal being worked out with Tehran, saying he had presented a practical alternative in Washington to a "deeply flawed" nuclear accord being negotiated with Iran.